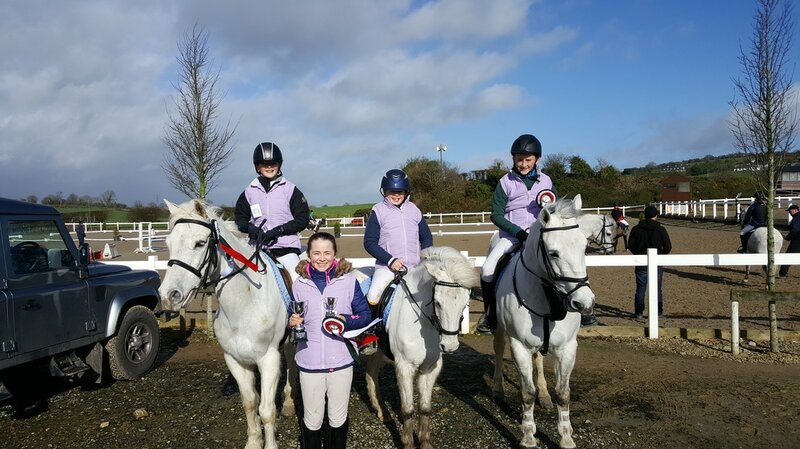 Members of Carlow Hunt Pony Club had a great day at the interschools competition in Barnadown equestrian. Well done to Drumphea National School who won the primary competition. The team members were Aine Kavanagh, Patrick Doyle, Bella Donohue and Taylor Pierce. 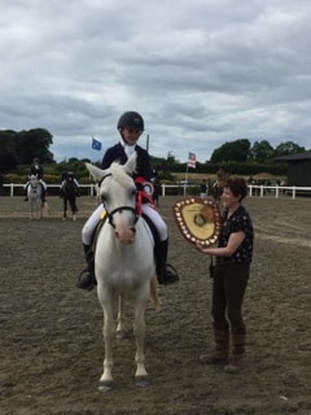 Carlow also had a great day in the Novice Individual competition, which is open to both primary and secondary schools, with Rachel Carr taking 1st place, Aine Kavanagh taking 2nd place and Bella Donohue thaking 5th place. Well done also to Borris Vocational school who came 3rd in the secondary schools competition. 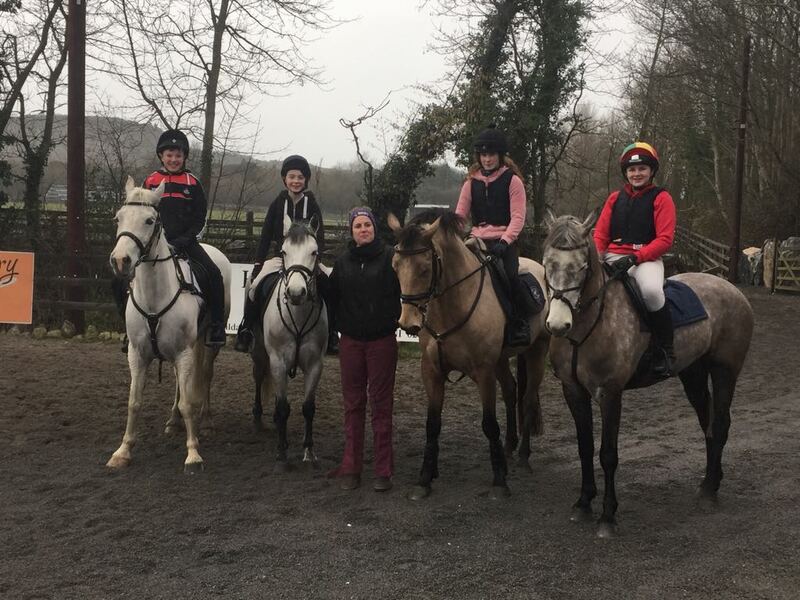 Twelve Members of Carlow Hunt Pony Club recently took part in a number of eventing clinics organised with Lindsay Graham and held at the Field Equestrian, Ballyadams. We would like to say a big thanks to Lindsay, who was an instant hit with all of the kids, for the excellent tuition and advice. We would also like to thank Robert Owens for the use of the fantastic facilities at the Field equestrian. 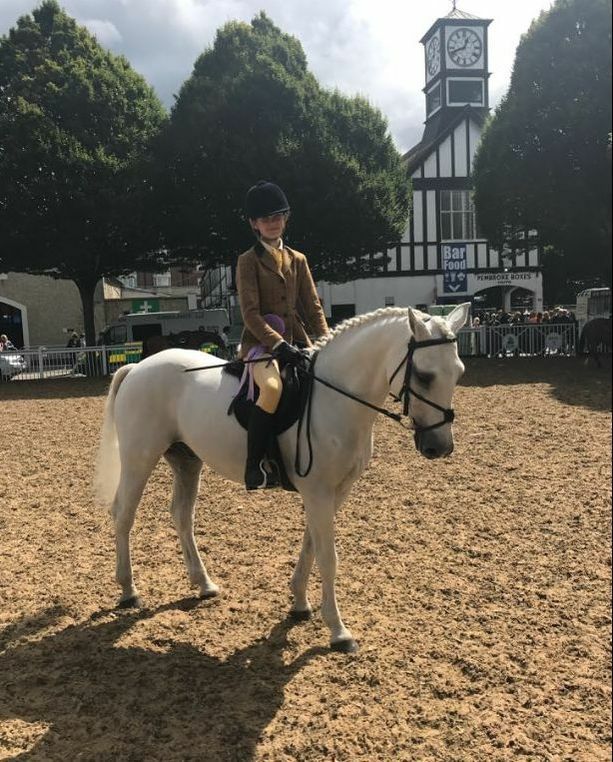 Carlow Hunt Pony club travelled in force to the IPC Festival in Mullingar equestrian Centre last weekend. Well done to our members that competed. 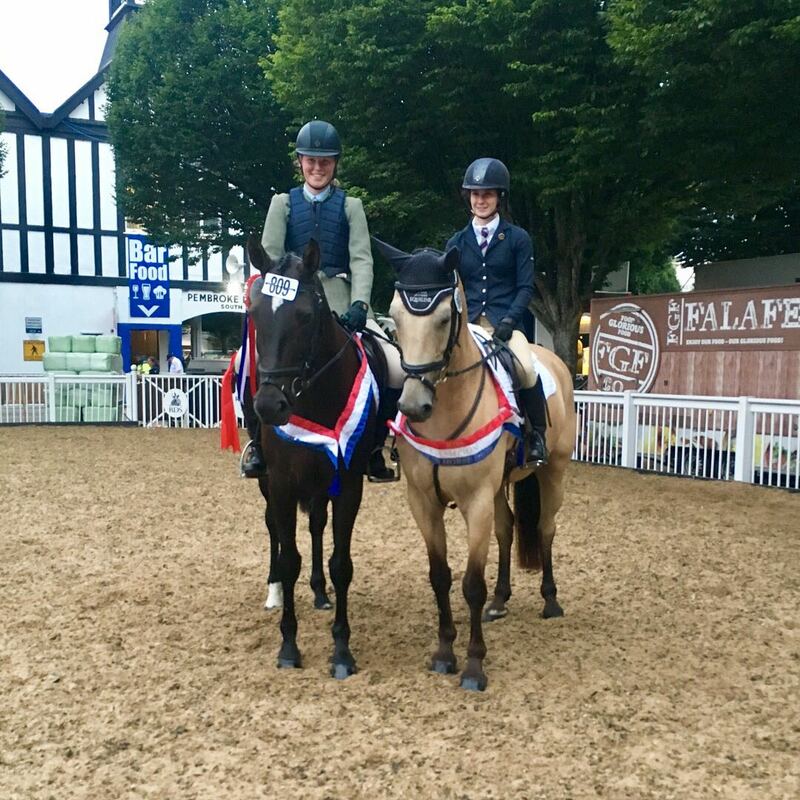 Holly Malone won the Junior Combined Training. 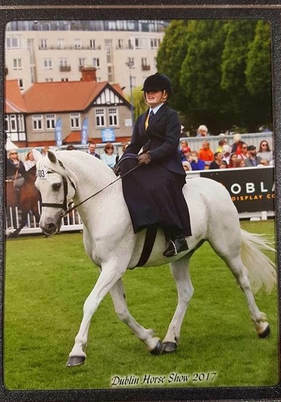 Ailish Osborne won the Open Combined Training who was also awarded the IPC Members Cup & Rourkes Cross Cup & Best Dressage. Andrea Cooper and Megan Telford Kelly competed in The Intermediate Combined Training. 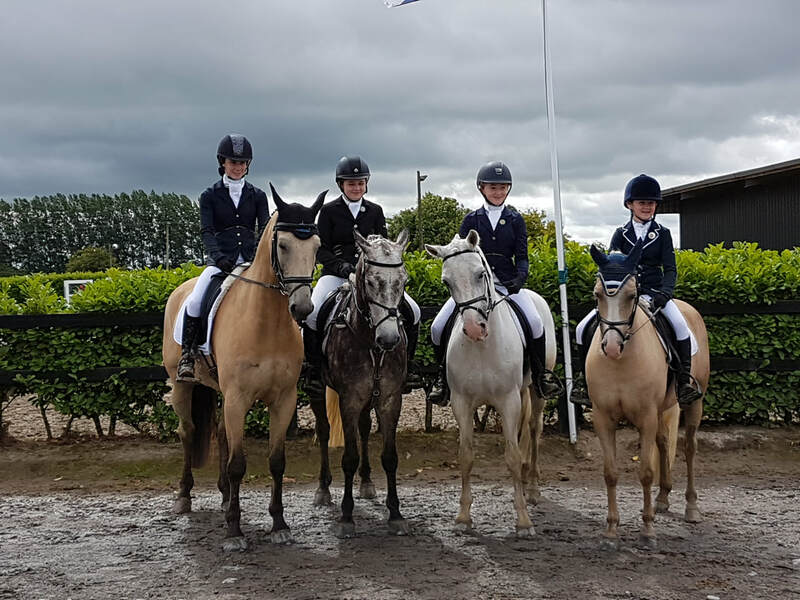 The Pure Dressage / Top Hats Team of Holly Malone, Rachel Carr, Megan Telford Kelly and Julie Hatton finished 3rd with Rachel Carr finishing 6th individually. All Competitors who had double clear got through to individual Jump off, which Rachel Carr Won and Isabella Donohue finished 3rd. 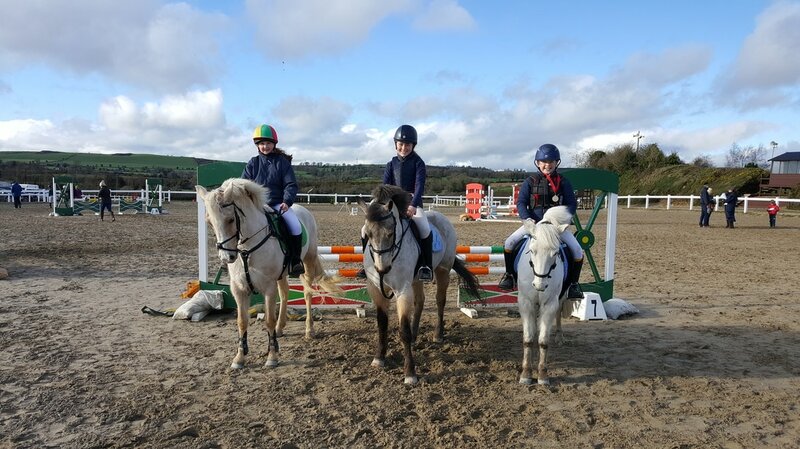 The Robbie Bailey team of Kate Byrne, Martha Dolan, Sophie Bolger & Avril Kelly competed very well. The Carlow Black team of Catherine Kavanagh, Declan Deegan, Lucy Bolger & Leah Burgess competed as well. Meadhbh Browne had double clear and got to individual Jump off and done very well. 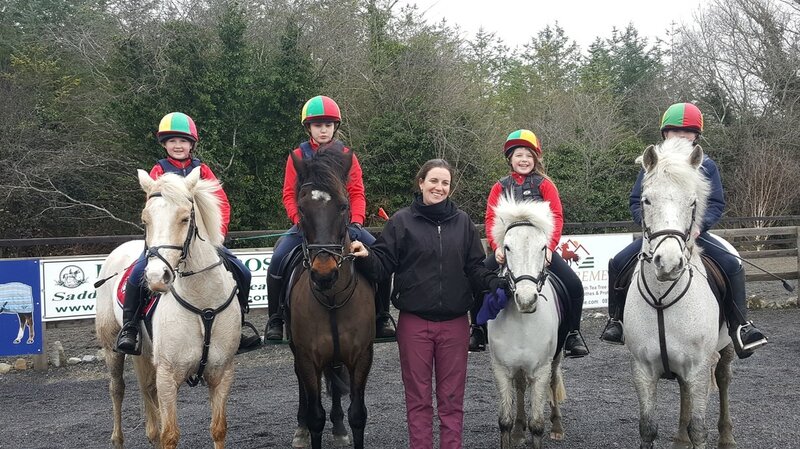 Well done to all those who traveled to Kildangan on Wednesday the 12th of April, the stud farm put on a well organised tour for the children and parents alike whom all found it most interesting. The children were so well behaved a credit to their club and families.